The Michelin recommended Greenacres restaurant is very well known in Wexford. 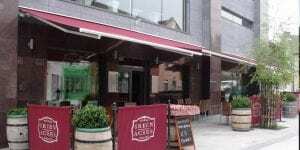 It is located in the heart of Wexford Town, surrounded by shelves of the world’s finest wines. The ambiance is friendly and relaxed. Green Acres restaurant is only 3 minutes stroll away from the hotel.